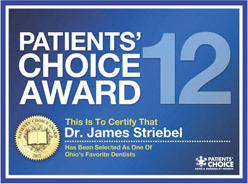 Dr. James A. Striebel is driven to dental care excellence by one thing: a strong desire to improve the health and lives of patients at our Huber Heights, OH practice. It is this strong desire that has led him to explore continuing education in implant dentistry and sleep apnea appliances, expanding on the typical services you might find in a dental office to make sure that you can get what you need when you need it. Not only does our office offer these and other general, restorative, and cosmetic dentistry treatments, but we use some of the latest dental technology to improve the quality of our care even more. With over two decades of experience serving families in the Huber Heights area, Dr. Striebel has built a reputation for providing high quality dental care a variety of solutions to all manner of problems, from the simple to the advanced. Our team takes pride in maintaining a caring and trustworthy relationship with all of the patients who visit our office, and we go out of our way to provide efficient dental care in a friendly and professional manner. We don’t press you to undergo specific treatments; instead, we work with your needs and budget to cater specifically to you, bringing you onboard as a partner in your own dental treatment team. Our Huber Heights office is a complete family dentistry practice, meaning that we see both adults and kids. Our children’s dentistry services will introduce your son or daughter to the importance of practicing great oral health habits, while our wide range of dental care services for adults, including a number of restorative dentistry options for rehabilitating teeth, will help you maintain a strong and functional smile through the years. Health is our number one priority, but that doesn’t mean we don’t understand the value of cosmetic dentistry for complete smile makeovers. 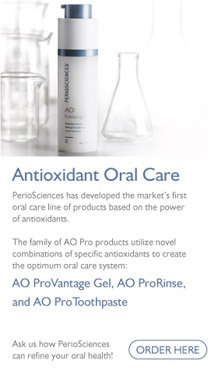 Porcelain veneers, teeth whitening, and Invisalign can all help our patients achieve satisfying smiles. With so many options available from Dr. Striebel, there’s no need for you to feel anything less than ecstatic about your teeth! Today’s dental patients want the most advanced care possible, and nothing is as up-to-date for tooth replacement as dental implants. Dr. Striebel has closely studied the placement of dental implants in order to make this excellent option available to those who visit our office in Huber Heights, Ohio. This shows his commitment to total oral health and taking dentistry above and beyond. We Want To Help You Achieve Your Greatest Smile! Patients come to our office from all over Huber Heights, as well as from surrounding communities such as Vandalia and Northridge, because we offer such a comprehensive list of services, advanced technology, and a family-friendly atmosphere. If you would like to make an appointment with Dr. Striebel, contact us today!